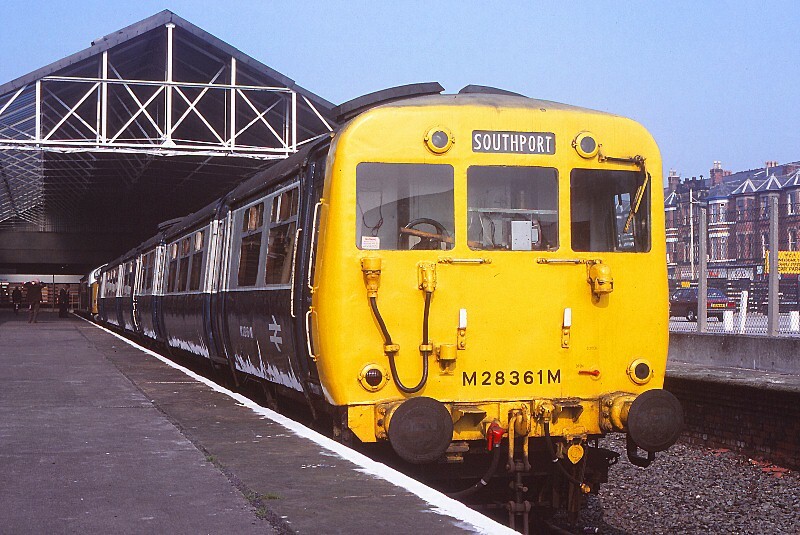 Martyn Hilbert's Railway Photography - Merseyrail Electrics - M28361M at Southport. The preserved class 502 two-car set, still in blue & grey livery, was displayed at Southport station in a joint exhibition & open day between BR and the Steamport museum in September 1982. The unit, part of the national collection was cared for undercover at the former Southport MPD. When Steamport relocated to Preston Docks in 1999, the unit was returned to the NRM, who left it in open storage at MOD Kineton for several years. The remains are now in the care of the 'friends of the 502' group.